WHAT: A dramatic retelling of the O.J. Simpson case, in which the former NFL superstar turned actor (Cuba Gooding Jr.) was tried on two counts of murder for the 1994 deaths of his ex-wife, Nicole Brown-Simpson, and her friend, Ron Goldman. WHY: There’s been a lot of great television this year, and FX’s “American Crime Story” is right up there at the top. Though most people of a certain age remember the media circus surrounding the so-called Trial of the Century, “The People v. O.J. Simpson” manages to feel like an entirely fresh experience, revealing things about the case you may not have known before while also recapturing all the infamous moments. Told largely from the perspective of the lawyers, the show examines topics like race, gender, celebrity and the criminal justice system and how each one affected the outcome of the trial. There’s hardly a dull moment throughout the show’s debut season, including the excellent bottle episode “A Jury in Jail,” which details the mental and physical strain placed on the jurors throughout the lengthy court case. 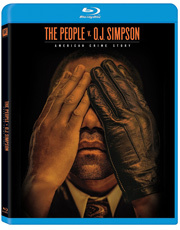 At its core, however, “American Crime Story” is just a really excellent actor’s showcase that features award-worthy performances by Sarah Paulson (as lead prosecutor Maria Clark), Courtney B. Vance (as flashy defense attorney Johnny Cochrane) and Sterling K. Brown (as Clark’s second chair, Christopher Darden), among others. The series is so engrossing and expertly cast that it’s like watching the murder trial all over again, only this time, with an unrestricted view of the chaos and drama. EXTRAS: There’s a retrospective on the real-life trial featuring interviews with the cast, crew and show consultants, as well as an interactive timeline. 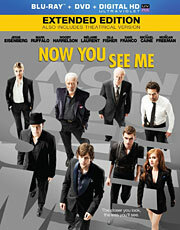 WHAT: When a quartet of illusionists called the Four Horsemen commit a series of crimes as part of a three-show performance bankrolled by business tycoon Arthur Tressler (Michael Caine), FBI agent Dylan Rhodes (Mark Ruffalo) teams up with an Interpol detective (Melanie Laurent) to track them down. 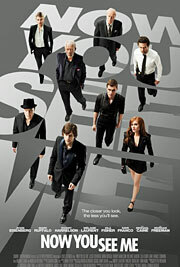 WHY: It’s always nice to see an original idea like “Now You See Me” find success amid the usual summer barrage of rehashed properties (and a sequel has since been greenlit), but unfortunately, the movie doesn’t live up to its full potential. The chemistry between the Four Horsemen – played with verve by Jesse Eisenberg, Woody Harrelson, Isla Fisher and Dave Franco – provides many of the film’s best moments, so it’s really disappointing that the actors are used so sparingly. And though Ruffalo is certainly no slouch, following his dogged FBI agent around as he tries to unravel the mystery surrounding the Four Horsemen’s elaborate magic act isn’t nearly as much fun as watching them execute it. The movie is also riddled with giant plot holes, strange story developments and one of the lamest twist endings in recent memory. After all, if you’re going to make a film about magic, you shouldn’t cheat to sell the trick. EXTRAS: There’s an audio commentary with director Louis Leterrier and producer Bobby Cohen, a making-of featurette, a brief history of magic and deleted scenes. WHAT: Change is in the air at Dunder Mifflin as the documentary is finally scheduled for its TV debut, leading Andy (Ed Helms) to rethink his career choices. 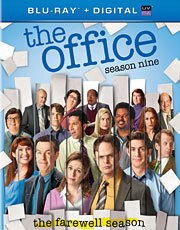 Meanwhile, Jim (John Krasinski) and Pam (Jenna Fischer) experience marital problems when he lands a dream job in Philadelphia; Angela (Angela Kinsey) discovers that her marriage has been a fraud; and Erin (Ellie Kemper) hooks up with the new office temp. WHY: Though it was one of the funnier shows on television during its first few seasons, “The Office” has gradually become less entertaining over the years, with many clamoring for NBC to pull the plug when Steve Carell exited the workplace comedy at the end of Season Seven. Instead, they decided to forge ahead without him, and if the final two seasons are any indication, that was a terrible idea. Despite some desperate attempts to plug the hole with big-name guest stars like James Spader and Kathy Bates (both of whom made Season Eight more tolerable), the writing was already on the wall by the time Season Nine rolled along. From the contrived Jim-Pam subplot, to the complete devolution of the Andy Bernard character (somehow making him more annoying in the process), there wasn’t much to love about this season apart from the well-crafted series finale. It was a bumpy ride getting there, but at least they stuck the ending. EXTRAS: As usual, there’s a ton of bonus material on the four-disc set, including never-before-seen audition tapes, over two hours of deleted scenes, a behind-the-scenes panel discussion, a blooper reel and more. WHAT: Set over the course of several decades, the film tells the real-life story of Robert Kuklinski (Michael Shannon), a devoted husband and father of two who secretly worked as a contract killer for the mob, murdering more than 100 people before finally being arrested. WHY: “The Iceman” had all the makings of a good film – a magnetic leading man, a great supporting cast (save for a pointless cameo by James Franco), and story almost too crazy to be true – but while it starts out well enough, it never really builds on that early promise. Instead, it seems content to follow the same generic formula of every other gangster drama, and as a result, the movie comes off dull and predictable. For a movie based on fact, it feels an awful lot like fiction, and that may be why it took so long for someone to make a film about Kuklinski’s life. While it’s definitely an incredible story, that doesn’t necessary guarantee that it’ll be interesting, and though that hasn’t stopped Michael Shannon from delivering another fine performance, it’s not quite enough to rescue the movie from the swamp of mediocrity surrounding him. EXTRAS: There’s a 30-minute making-of featurette and a shorter, EPK-style look behind the scenes with interviews from the cast and crew. It’s not just the studios that get excited about the beginning of the summer movie season, but audiences as well, because the four-month period marks the release of some of the year’s most anticipated films, from action blockbusters to all-star comedies. This summer is particularly exciting, and it kicks off in May with the latest installments of some of Hollywood’s biggest franchises (“Iron Man,” “Star Trek,” “Fast & Furious” and “The Hangover”), as well as a few lower profile features with the potential to make a big impression. What: When Tony Stark’s world is torn apart by a formidable terrorist called the Mandarin, Stark starts an odyssey of rebuilding and retribution. Why: “Iron Man 2” may be one of the weaker films in Marvel’s Phase One, but it deserves some slack for shouldering a lot of the groundwork leading up to “The Avengers.” With that said, it’ll be nice to see Tony Stark in a more standalone adventure this time out, which is reportedly based on Warren Ellis’ well-received “Extremis” arc, ushering in a change of status quo for the Iron Man armor. The film also marks a change behind the camera as well, with Shane Black taking over for the departing Jon Favreau, although the trailers suggest that it’s business as usual. 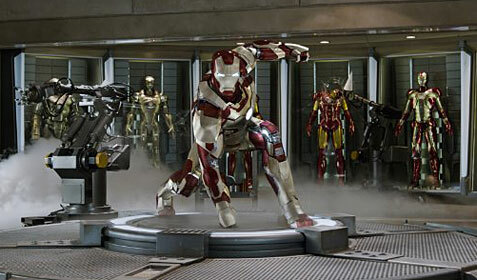 That’s great news for fans of the first two films, because with the addition of Guy Pearce, Rebecca Hall and Ben Kingsley to the cast, “Iron Man 3” is shaping up to the best of the series. What: The true story of notorious contract killer Richard Kuklinski, from his early days in the mob until his arrest for the murder of more than 100 men. 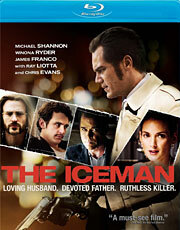 Why: Millennium Entertainment doesn’t exactly have the best track record when it comes to releasing small movies with big stars, but the cast of “The Iceman” is almost too good to ignore. Michael Shannon tends to deliver his best work in these types of indie films, while Winona Ryder proved in “Black Swan” that she’s still capable of turning in a good performance with the right material. And it wouldn’t be a crime movie without Ray Liotta popping up at some point, so director Ariel Vromen has that box checked as well. Though most people have probably never even heard of Richard Kuklinski or his true life story, sometimes those ones are the best.